Yachtsman and Yachtswoman of the Year will be honored in January 2019. BRISTOL, Rhode Island (LOG NEWS SERVICE) — U.S. Sailing, the national governing body for sailing, is accepting nominations for its 2018 Rolex Yachtsman and Yachtswoman of the Year awards, widely acknowledged as the foremost individual sailing honors in the nation. Members of the public are invited to nominate male and female sailors who they believe have turned in the most outstanding on-the-water performances during the 2018 calendar year. Nominations must be submitted by Jan. 7, 2019. For information about the awards criteria and to submit nominations go to the U.S. Sailing website at rolex.ussailing.org. In January, a shortlist of nominees for each award will be presented to a panel of sailing media journalists who will discuss the merits of each finalist and vote by secret ballot to determine the winners. To further engage with sailing communities around the country and to leverage the expertise of previous award recipients, past Rolex Yachtsman and Yachtswoman award winners will also be given an opportunity to vote and rank their top selections. 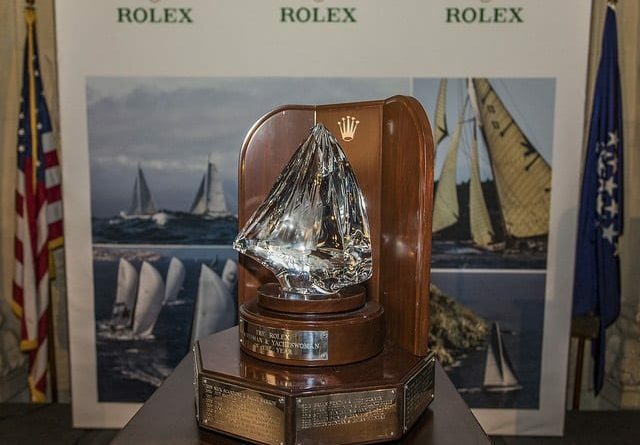 The winners will be announced in February prior to a luncheon at the St. Francis Yacht Club in San Francisco where the award finalists will be honored and the winners will be presented with U.S. Sailing’s Rolex Yachtsman and Yachtswoman of the Year awards and specially engraved Rolex timepieces. Established in 1961 by US Sailing and sponsored by Rolex Watch, U.S.A. since 1980, the annual presentation of U.S. Sailing’s Rolex Yachtsman and Yachtswoman of the Year awards recognize the individual male and female U.S. sailor who has demonstrated on-the-water excellence at international and/or national events to earn their place in the history of the sport. In 2017, J/70 World Champion Peter Duncan and Enoshima Olympic Week Laser Radial Gold Medalist Erika Reineke were selected as Yachtsman and Yachtswoman of the Year.